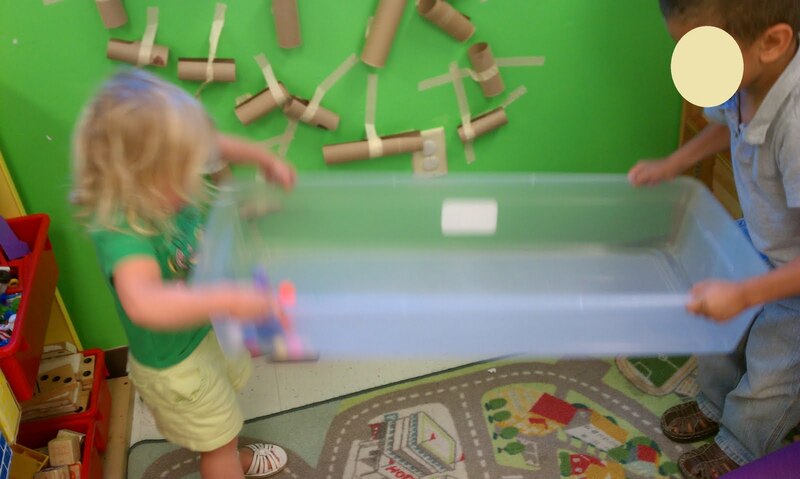 Never underestimate the power of play! There is one thing I love about blogging: the community of other like-minded teachers to share ideas with. 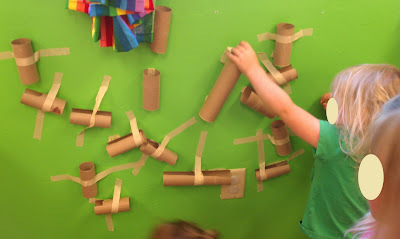 Two weeks ago, I read about what Tinkerlab did to create a marble run out of toilet paper tubes. We're re-painting our class this week, so this was just a sample run. 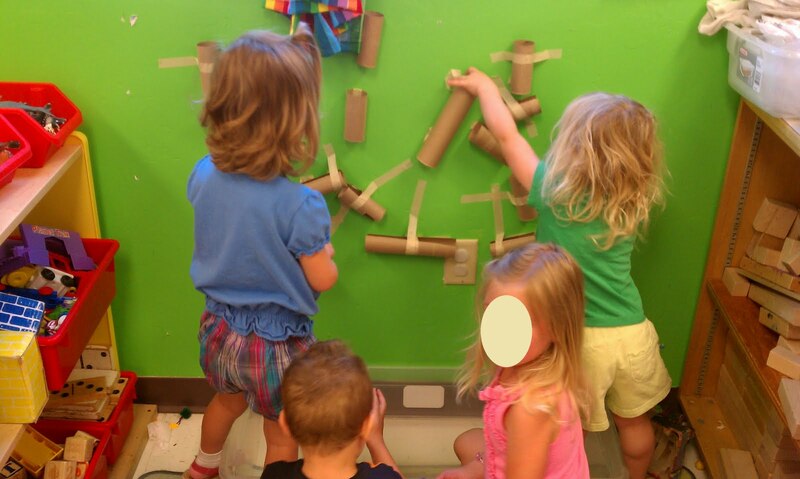 Next time, I will have the children paint and decorate the tubes first, and then set up the run themselves! This one took me about twenty minutes to cut and set up, and it stayed up for about 4 days. They experimented by testing various points of entry along the run. There is a long, shallow plastic bin at the bottom to catch most of the marbles. Sometimes, if the tape became loose on a toilet paper roll, a marble would hit the edge of a tube and fly! It was low enough so that even the most petite child could reach with very little difficulty. Look at the cooperation going on in this photo! Emily stands back and plans her next point of entry. 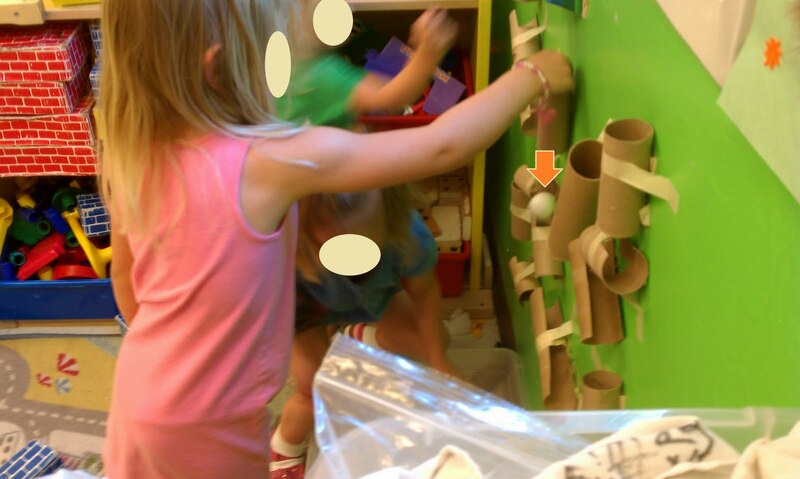 In this one I added an arrow so you can see the ball rolling through the marble run. 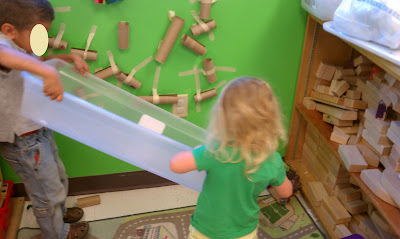 Leave it to Robert and Cordy to find a new use for the marble catching bucket! 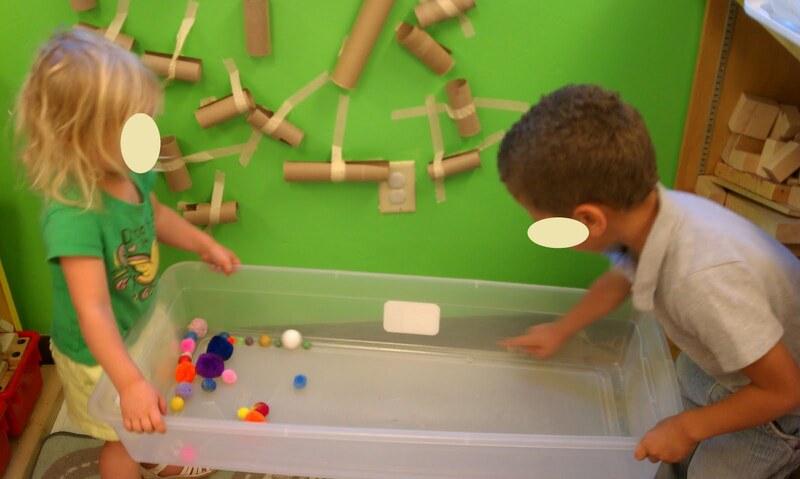 Robert had the idea of adding pon poms to the marbles. 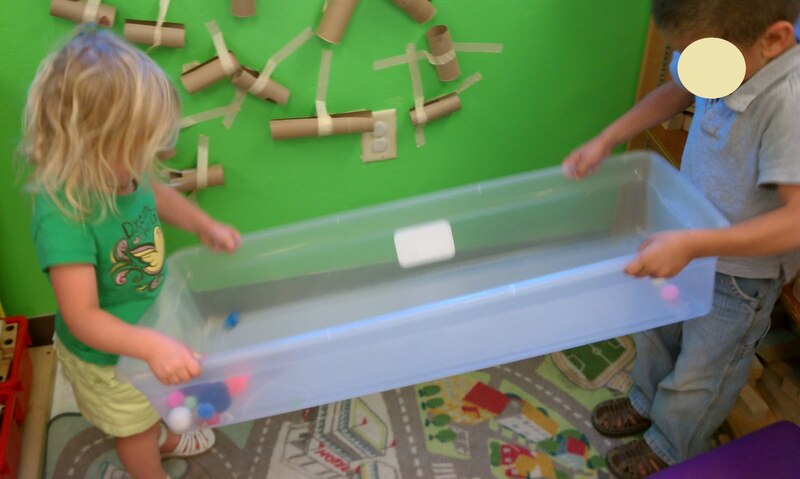 During this little episode, they experience the effects of gravity and motion, varying weights, inclines and speed! "Look, Ms. Gina! This one is going the fastest!" All in all, it was a successful activity! Thanks, Tinkerlab! Aww...that made my day! I appreciate your kind words. Happy playing! Thanks for you comment! Happy playing! 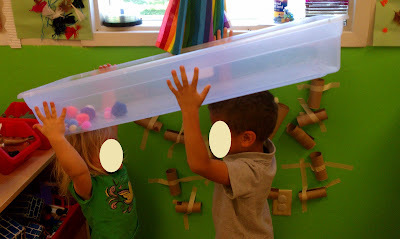 Follow Play-Based Classroom (Gina) On Pinterest! Mixing Colors With Shaving Cream! 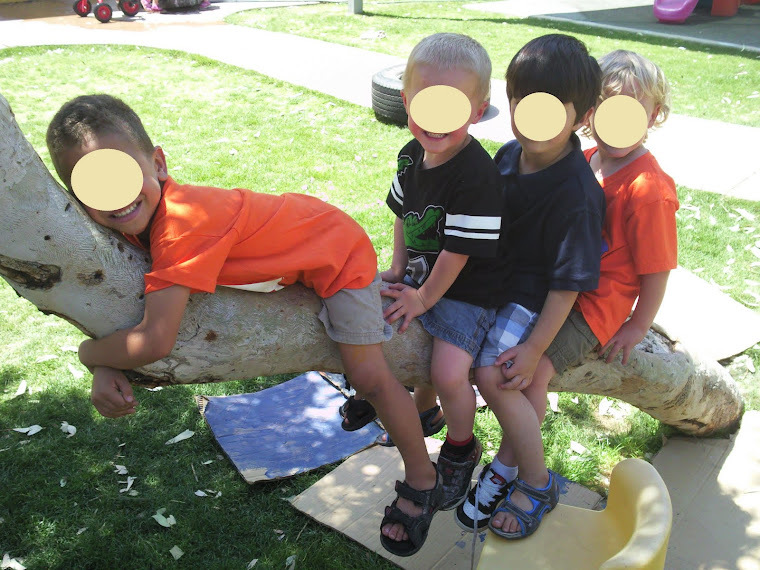 The Coyotes classroom is a child-centered environment. 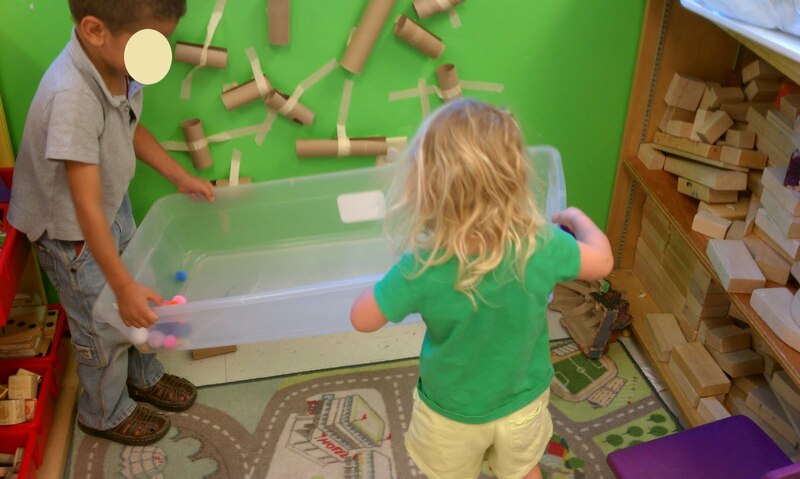 This means I let the kids have a say in their day, design developmentally appropriate activities, have open-ended art projects, and engage in A LOT of sensory experiences. 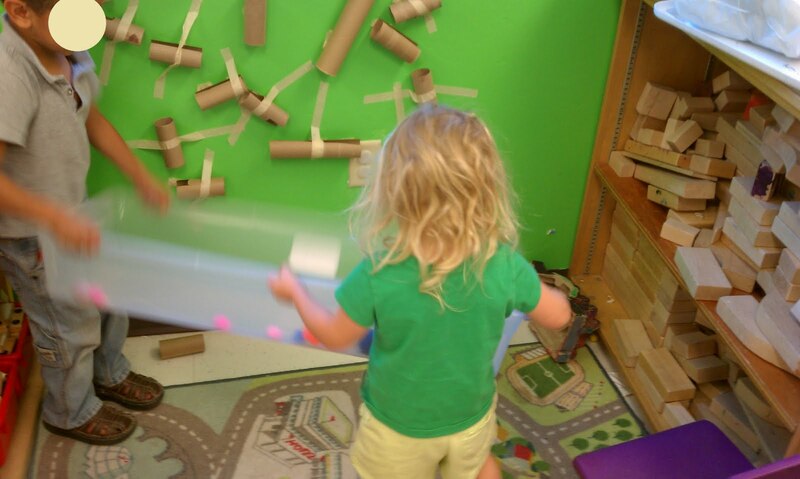 Each day provides opportunities to create, move, read, discuss, observe, sing, and play! 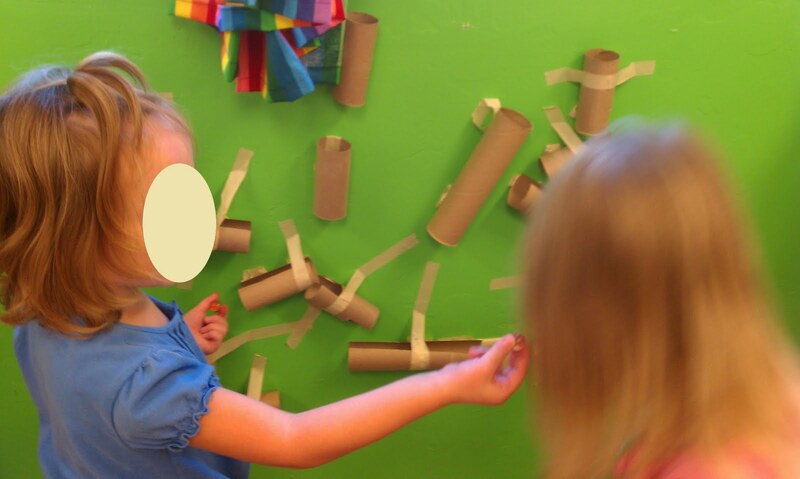 I facilitate the children's individual interests, needs, growth, and learning. This blog will be focused on the play-based activities I do in my classroom, but I also hope it will become a useful resource for fellow teachers/parents of young children. 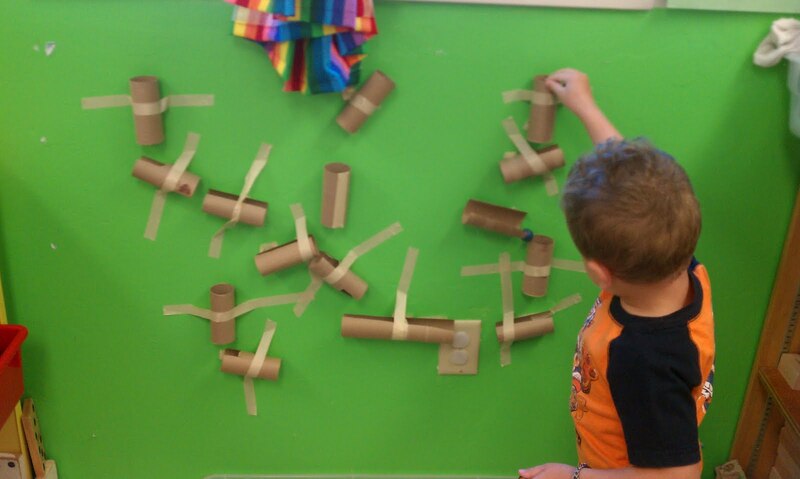 I am almost obsessed with how children can learn so much from simply "playing." 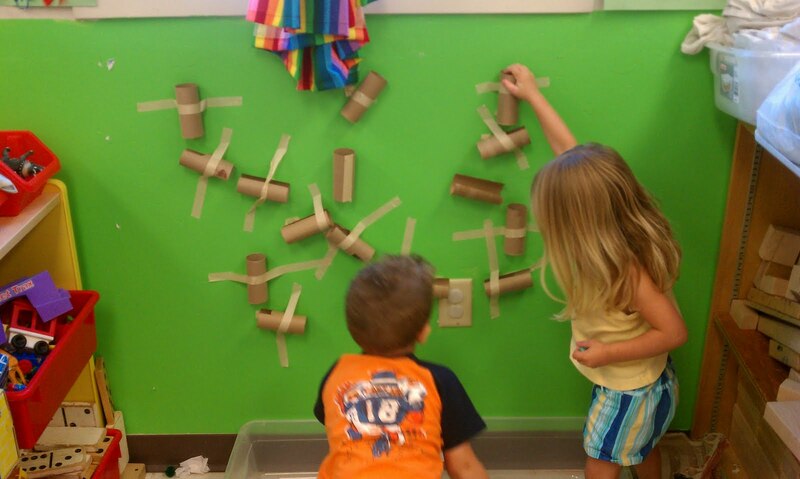 I hope to share some of my creativity and enthusiasm with anyone else who loves children. Adsense posts random advertisements based on keywords that appear in the post. 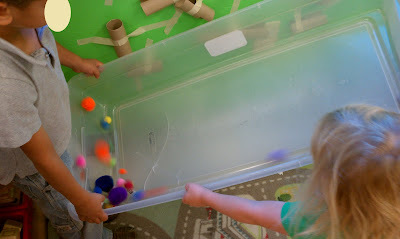 Play-based Classroom has no control over the selection or content of the ads that appear and does not endorse any of the companies whose ads appear on Adsense. However, I do receive commissions based on responses to these ads.